After mankind has been wiped out, a survivor spends his days alone happily. Until a young girl shows up. 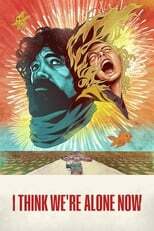 I Think We’re Alone Now is directed by Reed Morano and was released on Sep 21st, 2018. Director Reed Morano's Science Fiction & Drama movie I Think We’re Alone Now is produced by Automatik Entertainment & Estuary Films & was released 2018-09-14.